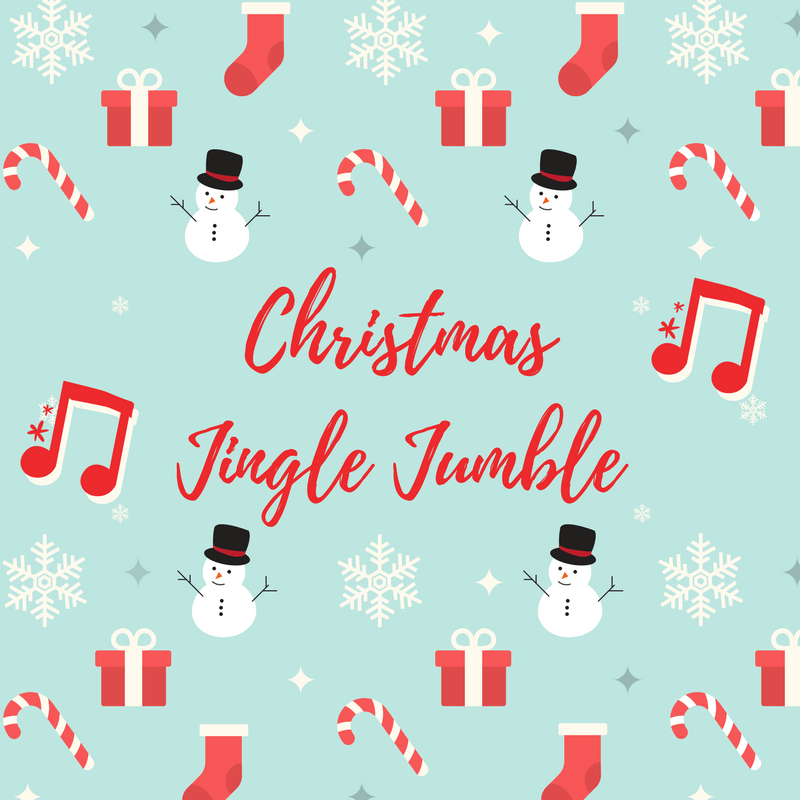 You’re going to love Christmas Jingle Jumble! We recently played it at a Christmas gathering and I immediately knew we had to share it with you. It’s a fast-paced, fun game that involves some healthy teamwork and focus- and someone who knows Christmas songs is a definite plus! Before you gather, purchase some Hershey Kisses and select your songs for Christmas Jingle Jumble. We’ve recommended some Christmas songs below and let you know how many words are in each song/chorus so you know how many Hershey Kisses to purchase. On the bottom of each kiss, write one word from the song. Once you have all the words, mix them up and place them in a Ziploc bag. Teams will work together to reorder the song in it’s proper order. Once a team is done, they will let you know and you can verify the correct order. Play one round or several depending on the size of your group and time available. Whichever team gets the most songs is the winner! 1. Play some upbeat Christmas music in the background or even play the song they are trying to unscramble to help them get the order right. 2. To know how many Hershey Kisses you need, you can always check the bag, but in general, you will find 100 pieces per pound. 3. Use FB or Instagram Live to capture some of the chaos. If you’re group is remotely competitive, this game is gold! 4. Let teams know that the winning team gets all the Hershey Kisses from the game. It gives a little extra incentive for anyone with a sweet tooth!